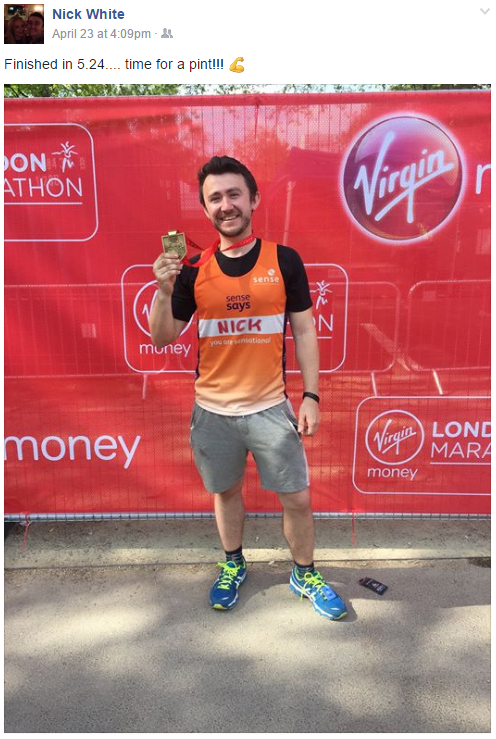 Congratulations to Nick, who will be the lighting designer for our upcoming show, for running the Virgin London Marathon in aid of Sense – connecting sight, sound and life to raise money to support people with deafblindness. 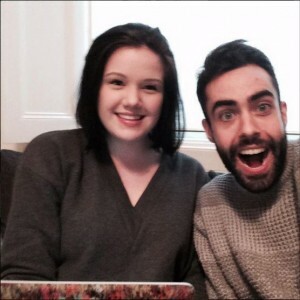 We will be teaming up with Sense at the start of the summer for our next production, so watch this space. 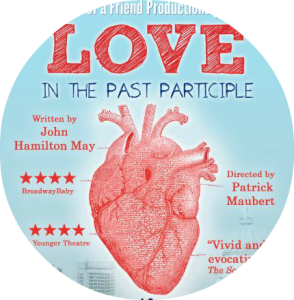 Playmakers at Tabard Theatre presents six new plays among which is John Hamilton May’sLove in the Past Participle. 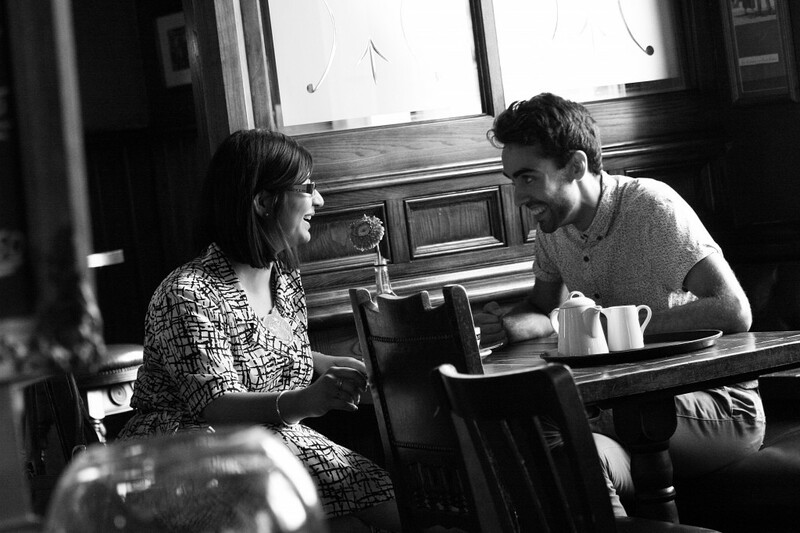 After a sell-out run at the Edinburgh Festival this is a play that I’m curious about even before entering the theatre – a new play is an exciting event and I am hoping it adds a new perspective to the well-discussed subject of love. 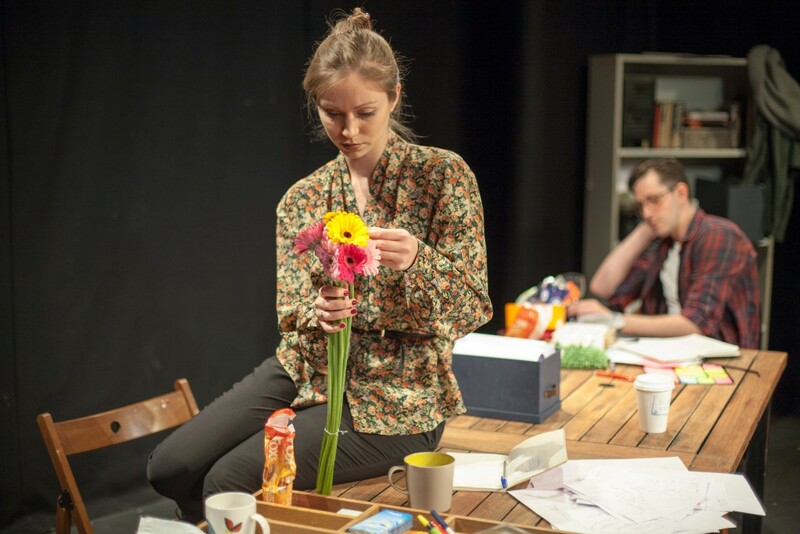 Four actors in a cosy and intimate office-like space deliver monologues to the audience as if what they are saying is what we could read in their private journals. It is their love lives that they are sharing and though they seem disconnected at the beginning we soon realise they are intertwined and not in a conventional way. 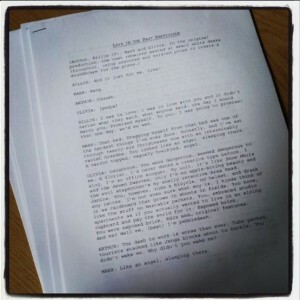 The play portrays a lesbian and a gay couple in different points of their amorous relationship – one at a peak point, ready for marriage, the other at a saturation point, ready for rupture. 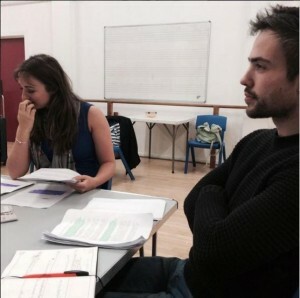 Always in this narrative setup and not acknowledging each other, the actors successfully keep us engaged with their energy and great characterisation and this makes us empathise and care for the characters in a short period of time. 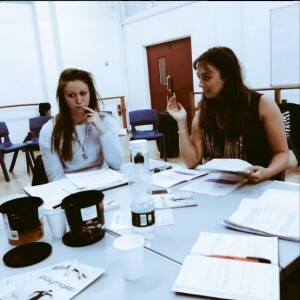 Special mention goes to the actresses Ashley Beckett and Tamaryn Payne – they bring such beauty and tenderness to the words describing the characters’ love for one another that it makes the ending more poignant. Hamilton May’s writing is both beautifully poetic and detailed as modern and witty – both amusing and endearing, always in the past participle. However, the connection between the two couples in the end feels a bit forced and rather short. I would say the audience wants more by the end of it. Maybe there should be a Love in the Future Tense so we can learn more about the lives of these brief characters. 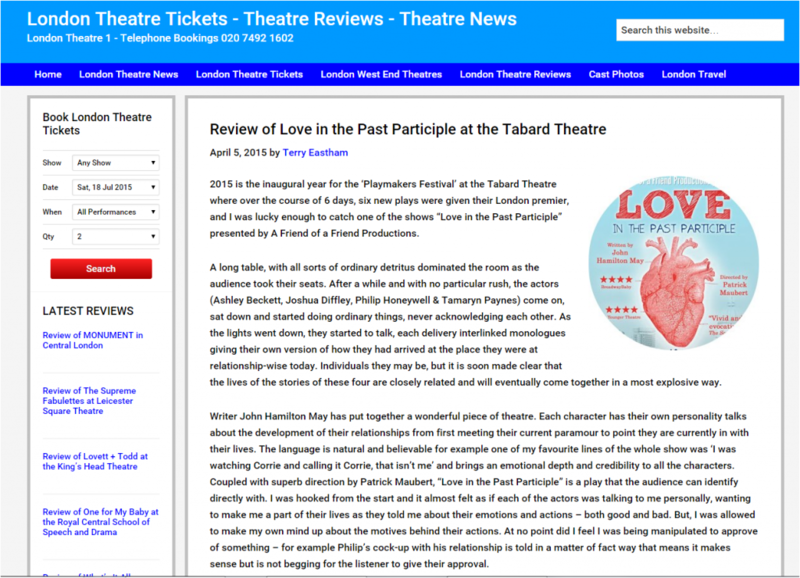 Love in the Past Participle was shown at the Playmakers Festival at the Tabard Theatre from Friday 3rd to Saturday 4th April. 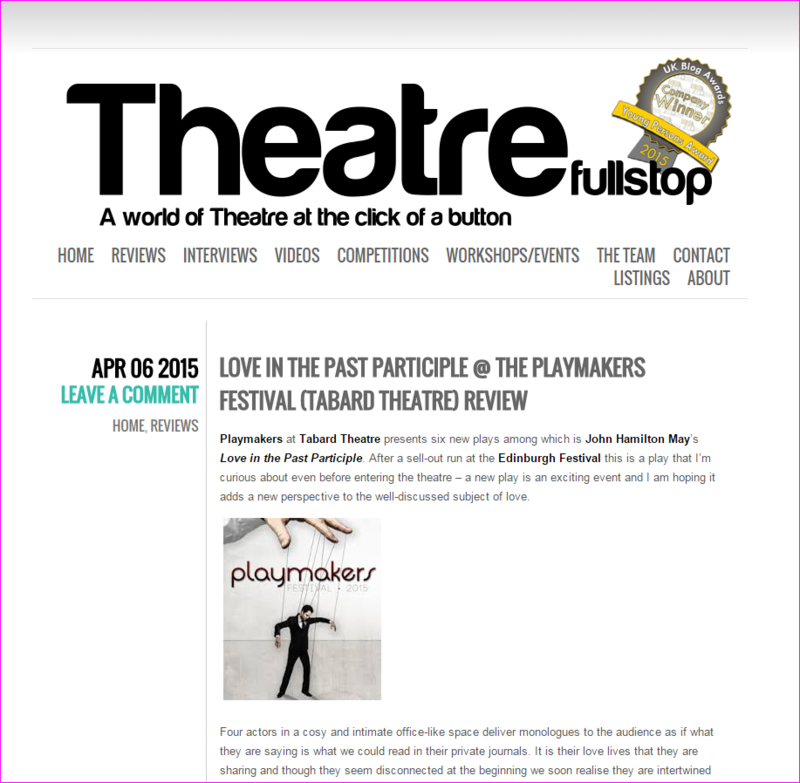 2015 is the inaugural year for the ‘Playmakers Festival’ at the Tabard Theatre where over the course of 6 days, six new plays were given their London premier, and I was lucky enough to catch one of the shows “Love in the Past Participle” presented by A Friend of a Friend Productions. 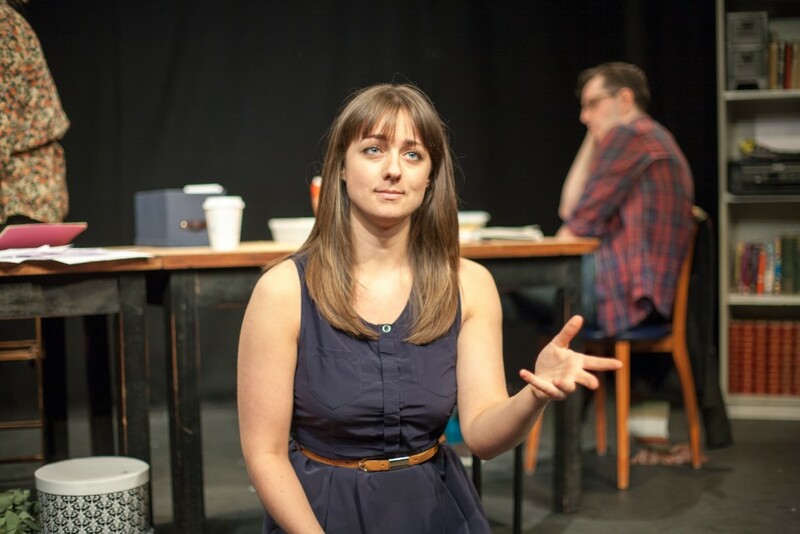 A long table, with all sorts of ordinary detritus dominated the room as the audience took their seats. 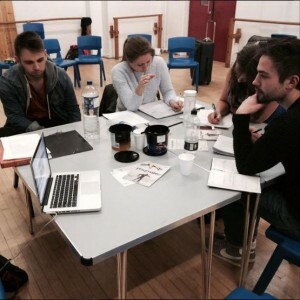 After a while and with no particular rush, the actors (Ashley Beckett, Joshua Diffley, Philip Honeywell & Tamaryn Paynes) come on, sat down and started doing ordinary things, never acknowledging each other. 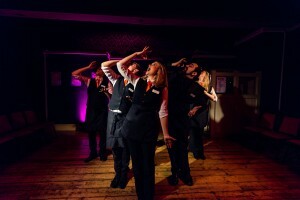 As the lights went down, they started to talk, each delivery interlinked monologues giving their own version of how they had arrived at the place they were at relationship-wise today. 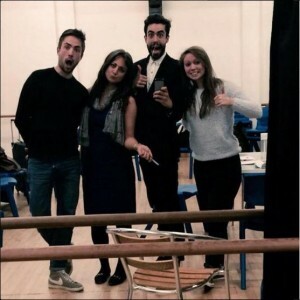 Individuals they may be, but it is soon made clear that the lives of the stories of these four are closely related and will eventually come together in a most explosive way. 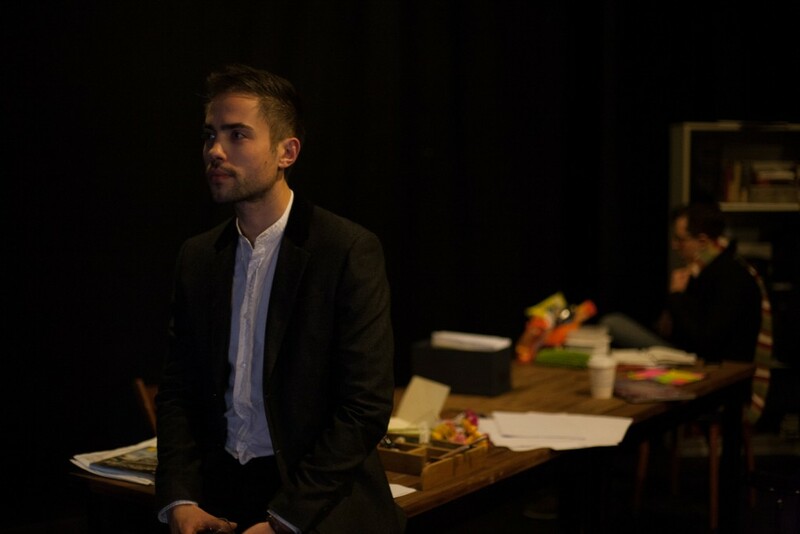 Gorgeous photographer Bogdan Staiculescu has been back in the rehearsal room and we just couldn’t wait to share his snaps with you! on our Facebook Page HERE. 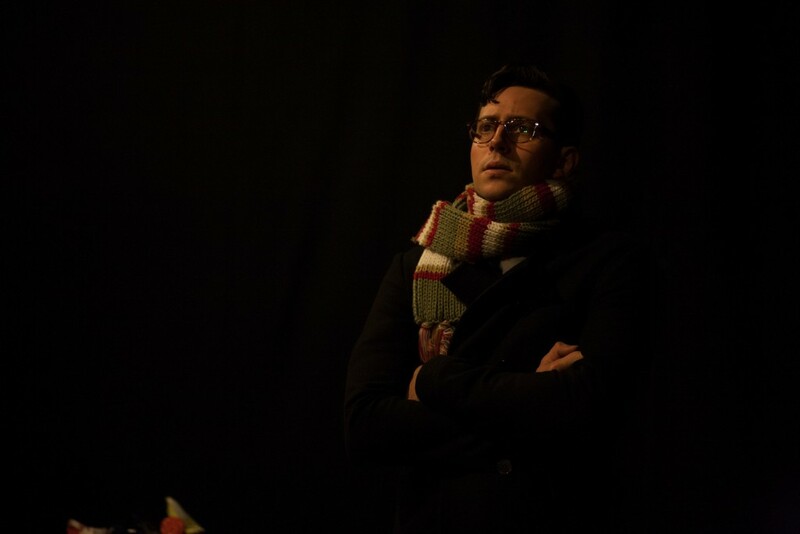 Tickets are £10, and you’ll be seeing Love in the Past Participle by John Hamilton May, as well as Trevor’s House by Bob Rogers, both hand-picked by the Playmakers Festival judges.